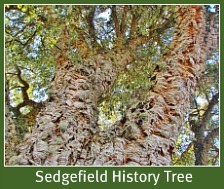 In the late 50’s a piece of land was acquired from the property “Gretna Green” (now Pine Lake Marina) on the banks of the Swartvlei Lake for the purpose of establishing the George Yacht Club. 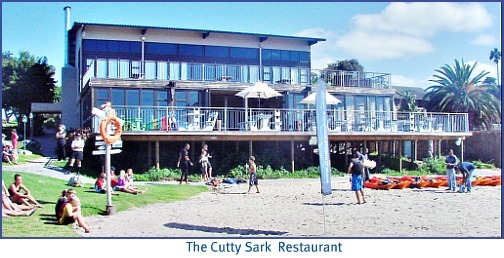 A jetty was built and a clubhouse erected which consisted of a lounge 40 feet long with picture windows giving an unobstructed view of the lake and the surrounding hills. 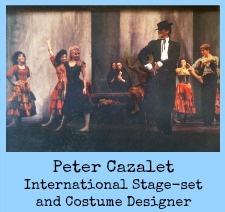 There was a kitchen, a storeroom and a cloakroom. In 1960 the property was put up for auction when the Yacht Club moved to Island Lake n at Wilderness. 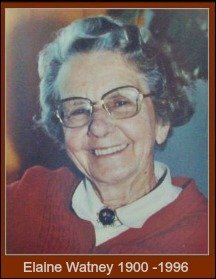 Rosalie's mother, Beryl Groenewald was staying in George at the time and went along to the auction sale. 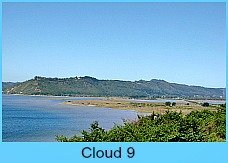 She was so taken with the view of the Swartvlei Lake and the big lounge that she bought the property. Giving the news to “Pa Groenewald” was a bit of a hurdle, but she duly sent the telegram off, “have bought house”. Approaching retirement he was still working in Pretoria and Beryl decided that she would establish their retirement home in this idyllic spot. Letters passed between them, “you don’t say how many bedrooms there are” and the reply, “there is a stunning view”. Living in a yacht clubhouse did not prove to be very comfortable. There was no telephone, and at that time, no electricity. 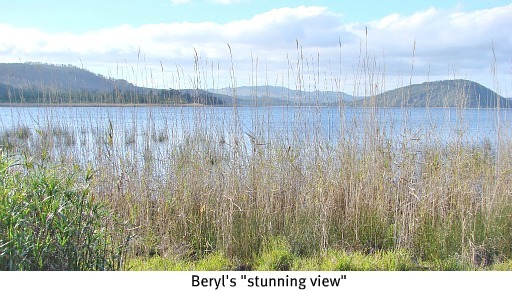 Beryl decided that “you can’t live on a view alone” so she put the property on the market and moved to Knysna. 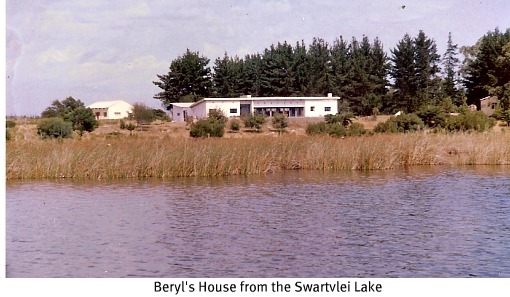 Rosalie recalls that Chris Barnard thought of buying the property so that his daughter, Deirdre could water ski on the Swartvlei Lake. However a Mr Barnes, from Cape Town, paid his deposit first, moved in and immediately set about building seven bedrooms which he intended letting to guests. This extension formed a courtyard with the lounge and had bathrooms joining the buildings at both ends. All was just completed when Mr Barnes suffered a heart attack and died. The transfer of the property had not yet been registered nor the balance of monies owing, paid to the attorneys. 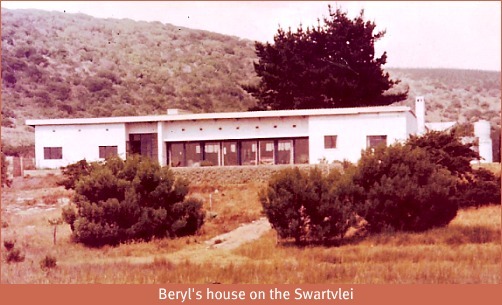 The property subsequently reverted to Beryl Groenewald. 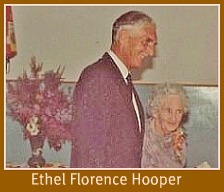 One morning while Rosalie's sister was visiting her mother, her little daughter, Janet was sitting at the kitchen table eating her breakfast when John Solomons, the general helper, came in carrying a cylinder of gas for the stove. As he walked in he heard a slight hissing sound and shouted to the maid to rush the young girl out the room while he flung the cylinder out the back door. There was a huge blast as the leaking gas ignited from the flame under the paraffin fridge. John suffered some burns, the kitchen was blown away and all the glass panes dropped out of the lounge windows. The outcome of this was that the insurance paid for a new fully equipped kitchen. So now, Beryl not only had bedrooms for her house but a brand new kitchen as well, all for no more than the initial price she had outlaid. Is that the luck of the Irish, or what? 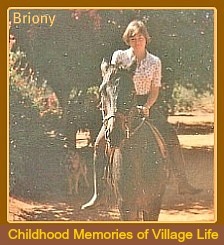 When Beryl was living in her “yacht club” house at Swartvlei in the early 60’s she used to make an annual visit to the family in Pretoria. 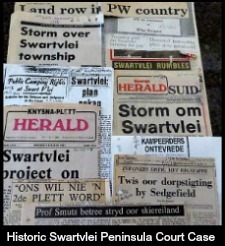 This was a three-day train journey from George which actually started from Swartvlei. 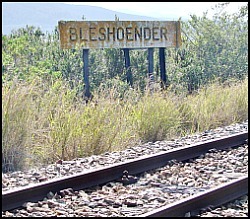 She must have been the only passenger to ever board and disembark at the “Bleshoender” siding. It was quite a feat getting on and off the train as there was no platform, but with the help of John Solomons, her faithful general factotum who brought a box along for her to step up on, all was well. At that time suitcases could not be wheeled along so John brought the wheelbarrow along for, as he called the luggage, her “sakkies en pakkies”, and on her return he was there again with a broad smile and the wheelbarrow. 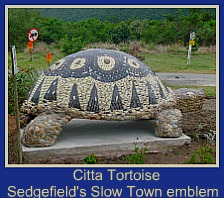 Many years earlier…….. Oupa Groenewald had been born in the Langkloof but his family moved to George when he was still very young. 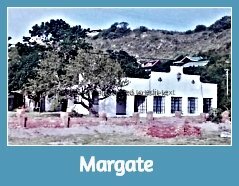 Some decades later, the old family home there was closed up when Ouma was taken up to Johannesburg to be cared for by her daughter. Rosalie recalls that together with her mother and brother she went down by train from Pretoria to air the old place. The summer weather was beautiful, the beach near and yet so far. 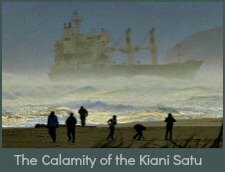 After a few days their mother announced that they would be going to the beach at the Wilderness next day. How would they get there? On the Outeniqua Choo Tjoe of course! At George Station the train was being stoked to build up steam for the journey when the family presented themselves at the ticket office. On Beryl’s inquiry as to the time of the return journey she was told, “about 2.30pm”. After a few preliminary puffs the whistle blew and off they went moving along the tracks, puffing their way to the Wilderness. The water was lovely and after their swim they spread a rug on the sand and unpacked their picnic basket. After lunch while slowly gathering their paraphernalia together they heard the approaching train, much earlier than expected much to Beryl's dismay. As it went puffing past them the driver smilingly waved and beckoned them to come. The family had to reluctantly pack up and walk to the station where his only comment was “we’re early today”. 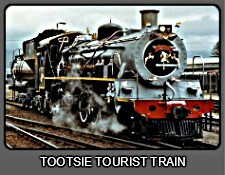 That was the day a train waited for the passengers! 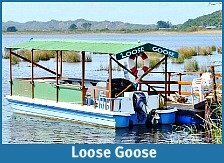 Some years later, the Meakers bought Pine Lake Marina from their daughter, Penny, who worked at Groote Schuur. Mr Meaker had been a fighter pilot with the RAF during World War II and he was the first South African pilot to fly a Jumbo 747 aircraft on its maiden flight from USA to South Africa in 1969. 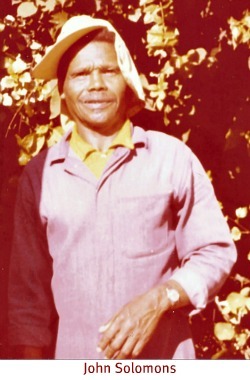 The Meakers' son, Ian was a chemical engineer involved in oil exploration. Sadly he died in an unfortunate accident in the Far East when a tanker exploded and he was killed on the quayside. It was noted by Dennis Cooke that Mr Meaker never got over the loss of his son. Their niece, Moya whose parents lived in Hermanus, had won the “Miss South Africa” crown in 1959. 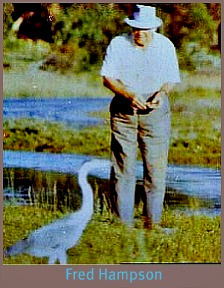 When they bought the Groenewald property, the house was converted to a restaurant called “Johnny’s Tavern”, that could have been named after John Solomon (formerly Beryl's faithful aide) who stayed on the property for years. When Pine Lake Marina became a timeshare resort the restaurant was reconstructed and became the popular Watney’s Restaurant. 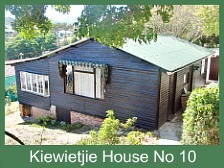 The property changed hands again in February 2010 when Phillip Van Meulen, an overseas businessman, bought it. The restaurant building was renovated and transformed and became the Pinella, a venue now available specifically for weddings and conferences. 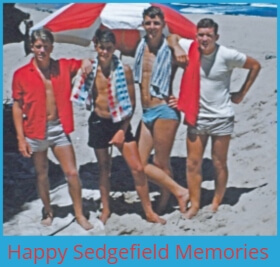 The characters that had made a home out of an old yacht clubhouse on the Swartvlei are now an almost forgotten piece of Sedgefield's history!